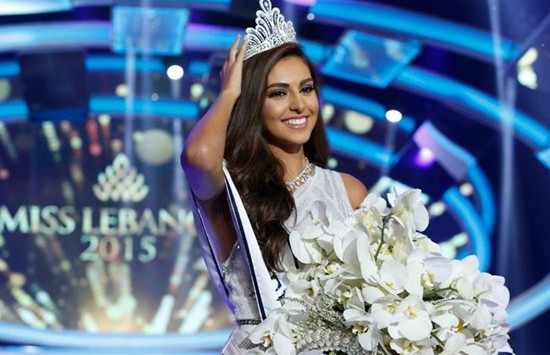 Valerie Abou Chacra was crowned Miss Lebanon 2015 on October 12. Josline Mosleh and Cynthia Samoeil were chosen first runners- up, Nour Nasrallah took the second place while Maria Tannous came third. Organized by LBCI television, the contest was held at Casino du Liban in Beirut. Chacra will compete in Miss World 2015 pageant to be held in Sanya, China on December 19.